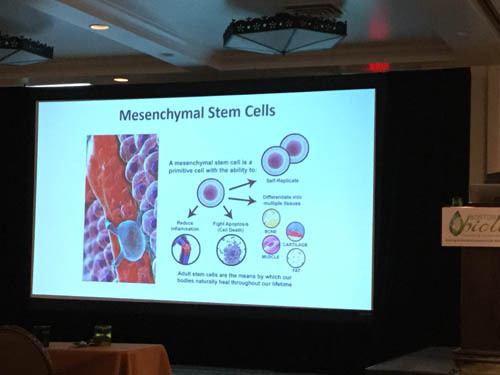 Dr. Fred Arnold attended the Boston BioLife Conference in Scottsdale, Arizona May 4-6, 2018. 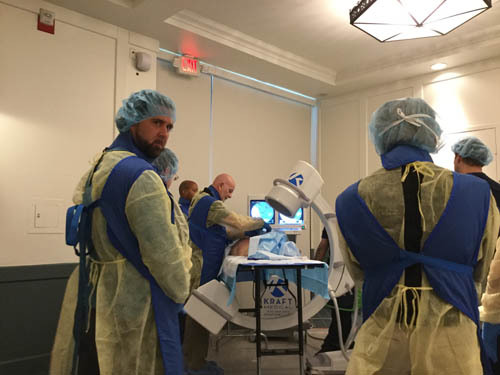 This conference presented cutting edge information on stem cells, ultrasound guided injections, and hands-on workstations. 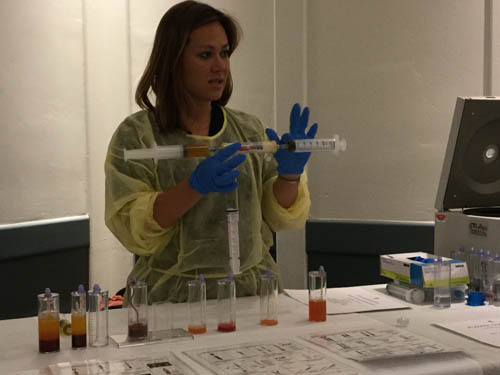 Dr. Arnold particularly liked the workshop involving Platelet Rich Plasma (PRP), Bone Marrow Aspiration techniques using ultrasonography and Alpha-2-Macroglobulin (A2M). Dr. Arnold is excited to offer these new therapies to his patients. 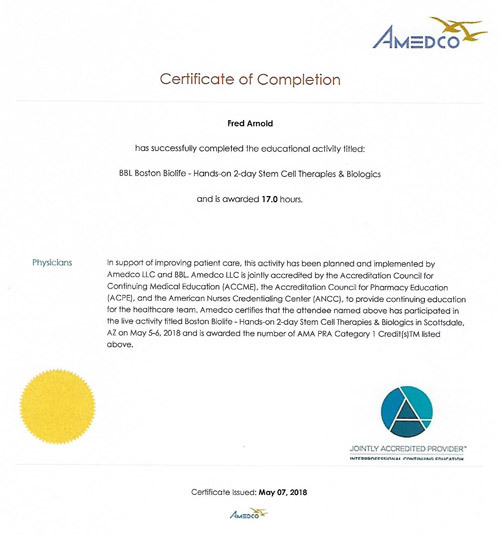 He received 17 hours of continuing education for his participation at this conference.